Sealed With A Kiss Richmond bride Jessica and her new husband Evan married in downtown Richmond this past summer. They had a gorgeous ceremony at St Joseph’s vineyard, followed by a fun, modern reception at the Boathouse at Rockett’s Landing. Jessica chose a wedding gown by Casablanca Bridal for her big day. It featured lace and delicate beading. From the color palette to the venue, we loved absolutely every detail from this wedding. Ask Pat: My dress got dirty during the wedding, how do I get it cleaned? Dear Pat: I got married outdoors about a week ago, and the hem of my dress got quite muddy. I called my local cleaners and they seemed nervous about working with my dress because of the delicate fabric, so I was wondering how you advised I get my gown cleaned? Good question! Most local cleaners don’t have experience cleaning delicate fabrics found on many high end wedding gowns, so we, like many bridal shops, work with a company who specializes in wedding gowns. Brides can bring the dress into our shop and we will go over the dress, marking any areas that became particularly dirty, and then we’ll send it off to the Wedding Gown Preservation Company to be cleaned. They clean each gown differently depending on the fabrics used, but each cleaning process is organic and is sure to make your gown look good as new. As their names suggests, they also handle preserving your wedding gown, which is a great way to protect and display your wedding gown. If you’re not near one of our locations, you can contact the Wedding Gown Preservation Company at http://www.gownpreservation.com/ and they can refer you to a local authorized retailer! November is a great time to visit Sealed With A Kiss! I don’t know if you’ve heard, but we have a lot of great things going on at Sealed With A Kiss this November! Between our 3rd year anniversary special, Black Friday sale and our trunk show, you couldn’t find a better time to visit Sealed With A Kiss to find the perfect dress. Read on for the details! We cannot believe that our Short Pump location has been helping Richmond brides find the perfect gown for three years!! The time has seriously just flown by, and we are so happy to have welcomed so many amazing women into the Sealed With A Kiss Family. To celebrate, brides who purchase their gown from either location during the month of November will be eligible to receive a free plain veil or a free pair of designer earrings. Give us a call for details! Our Black Friday Sale is back, and is going on now! Schedule an appointment to come in and find the wedding gown of your dreams at a price you will love. You won’t want to miss this! Our Paula Varsalona Trunk show is going on now and continues until Saturday, November 26th! 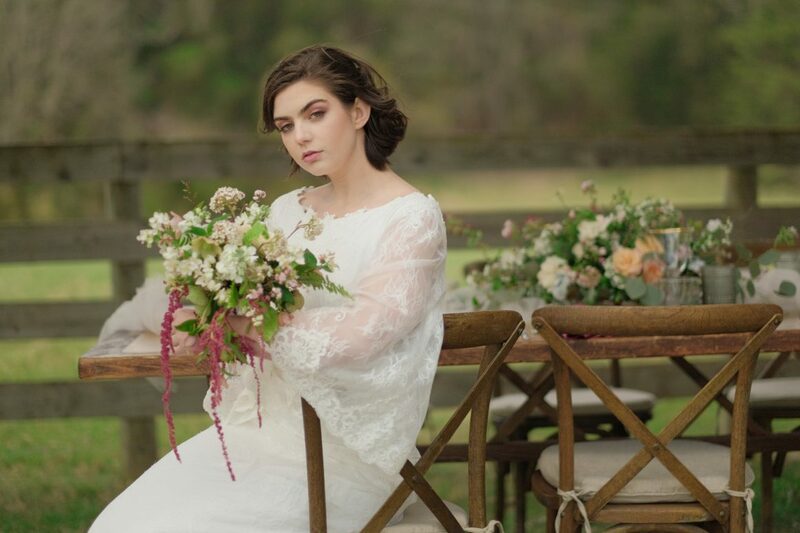 Designer Paula has sent us many designs from the new collection and some past favorites, so if you’re looking for a stunning, one of a kind design give us a call and schedule a time to come in! If you say “yes” to a Paula Varsalona dress during the trunk show you can receive a 10% trunk show discount- just ask your stylist for details! Saturday, November 26th is Small Business Saturday! It’s a day to “Shop Small” and support your local shops and boutiques. To celebrate, we’ll be offering specials and complimentary champagne for brides who schedule an appointment. We can’t wait to help you find your dream dress! A-lines are the happy medium between a fluffy ball gown and the fit and flare–they are fitted on the bodice and then the skirt flares out into an “A” shape, staying loose and flowy from the waist down. Browse through some of our favorite a-line designs from designers we carry in store! We love the look of this gown! It has an a-line skirt complemented with a high illusion neckline, and the back features lace straps that form a V. The lace on this gown is soft, and gives this look a vintage feel that brides love! This gown is perfect for the bride who wants an elegant look on her wedding day. The a-line shape of this gown pairs perfectly with the higher waistline, which is accentuated with a sash and a flower. The eyelash lace on the bodice adds another attractive detail to this look. This couture gown features a beautiful scalloped v-neckline and back line. The cap sleeves add a touch of sweetness to the overall look. The gown is pictured with a silk sash with a flower accent, but brides can easily customize the look to their style by adding a sash or belt of their choosing. This flowy a-line gown is just so romantic! It has all over lace, a deep v-back and delicate straps. If you prefer a slightly fuller skirt, just add a slip! It will completely change the look of the dress. This beaded a-line gown is perfect for the bride who wants to shine on her wedding day. This gown has a flattering sweetheart neckline, and the vertical beading and lace accents are sure to wow your guests on the wedding day. This gown is all about the details. We love the illusion front and back, and the bodice features soft asymmetrical ruching that will accentuate the waist. The hem of the a-line skirt features beautiful scalloped lace. This charmeuse gown is the definition of elegant simplicity. Brides love the way the sabrina neckline frames the collarbone, and the beaded belt adds a touch of glam to the look. We also love the v-back! Boho brides love this a-line look! The lace bodice features a scalloped v-neck and back, and you’ll find beautiful lace along the hemline of the skirt. A small beaded sash accentuates the waistline and adds a touch of sparkle.